We provide proven, high-quality, and flexible iPad application's for start-ups, agencies, and established companies across diverse industries. We have broad experience with the iOS SDK, key iOS frameworks, enterprise and app store submissions. Custom Software Lab is an iPad app development company and offers a full suite of iPad application development services including strategy, design, programming, testing, deployment and maintenance. We provide proven, high-quality, and flexible iPad application’s for start-ups, agencies, and established companies across diverse industries. We have broad experience with the iOS SDK, key iOS frameworks, Objective C programming, back-end development and iTunes App Store submission. Mobile handheld devices is how business is done in today’s environment. Our creative and experienced iPad app developers can deliver new innovative native apps from scratch or enhance an existing iPad software currently on the market. Whether your desires are to develop an iPad app that will generate millions of downloads ( and $) per year, or a iPad app that is geared towards improving and extending business efficiency and boundaries, Custom Software Lab knows what makes up and how to deliver a successful mobile app to market. Our highly skilled team of iPad UI designers and developers merge two worlds together perfectly to create iPad apps with beauty and brawn. Who says you cannot have it all? 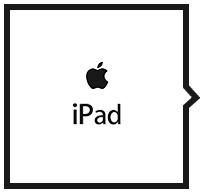 We leverage all that the iPad SDK has to offer and mix that with our creative and expert iPad development staff to deliver what you need and when you need it. Your customers are already using iPhones, iPads, laptops, and mobile devices, and you can use these technologies to ensure that customers can always access your company information and services. Each Custom Software Lab mobile app developer is an expert in mobile application development and generates many creative ideas that can help you get your business information to the most popular and fascinating mobile application platforms, including iPhone, Android, iPad, BlackBerry and Windows Mobile.